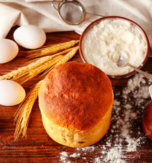 Paska or kulich? Which word to use? 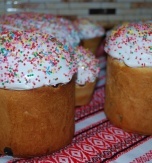 Paska or kulich? Paskha or Velykden? What is right and what is wrong? What are the arguments for and against different names? Recently, language discussions about the most important symbols of Easter have broken out. On the eve of one of the most important Ukrainian holidays - the Feast of the Resurrection of Christ, Ukrainians traditionally decorate their home, cook food and ... discuss how to correctly name what they are going to celebrate - Paskha or Velykden. 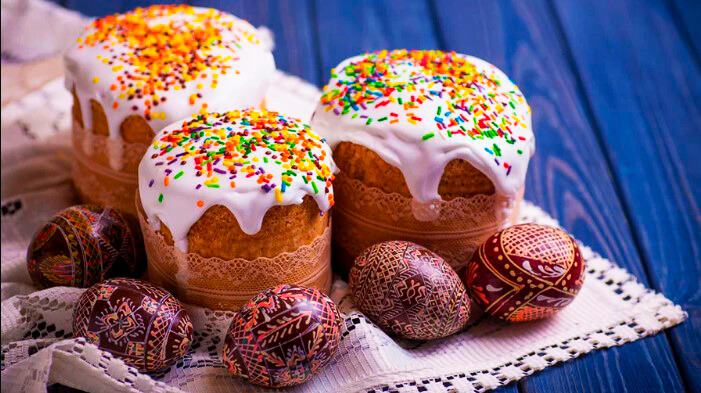 Looking at the store and homemade Easter bread on the store shelves and in social media, Ukrainians wondering what we are baking – pasky or paskhy? Or maybe kulich? Where did these words come from and what do they mean? 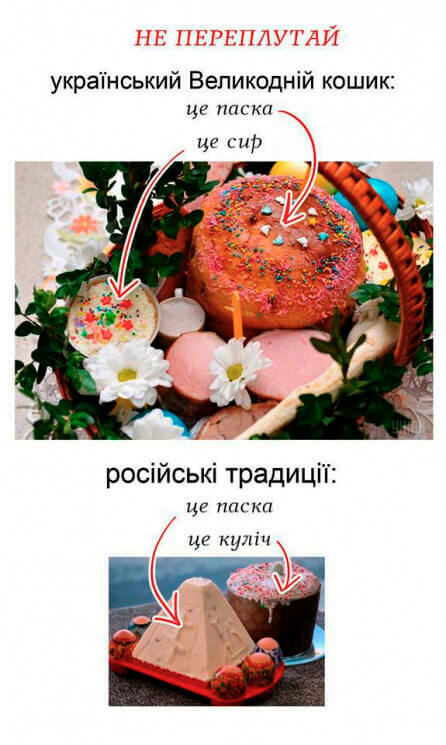 The essence of the "Easter dispute" in Ukrainian society is modern philology, to be exact, how to speak and write correctly. 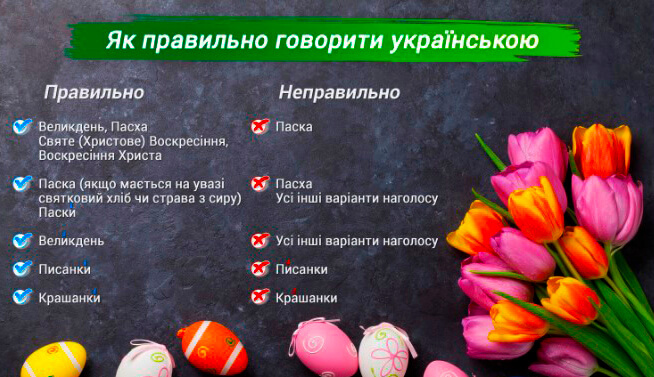 Ukrainian language experts and dictionaries will help us understand how to use the Ukrainian "Easter terminology" correctly. "Paskha” is not included at all, and in other dictionaries, it is indicated with various restrictions. "Paskha” is the name of a corresponding Jewish holiday. The word “paska” - sweet bread that is baked for Easter - comes from this very name. And the spring Christian feast of the resurrection of Christ is called “Velykden” in the Ukrainian language. 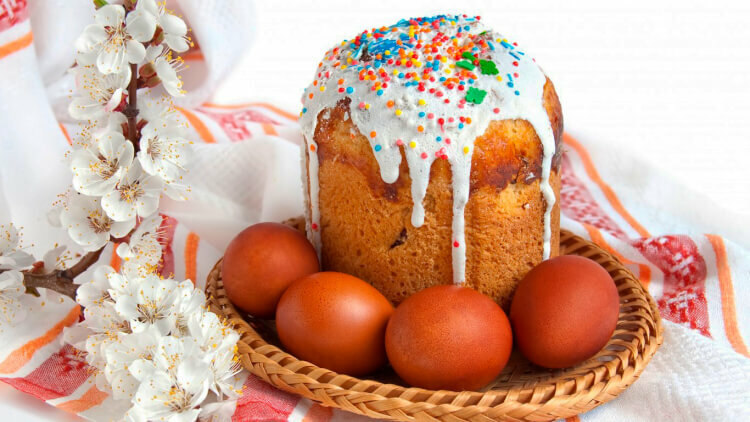 In one of the television broadcasts, Oleksandr Avramenko notes that the white sweet butter bread (cake bread) we eat on Easter is called "paska", in the plural "pasky" while "kulichi" can only be in Russia and in the Russian language. The name "Paskha" is rather historical: earlier it denoted both the Jewish holiday called Pesach and the Christian holiday. For some time both words: "Paskha" and "Velykden" (the word "Paskha" is older), were used simultaneously, but now linguists recommend to use the word "Velykden." If we speak Ukrainian language, it should be remembered that the product made of rich dough (short/fancy pastry), and cheese (cottage cheese/curd) dish is called "paska" (in the plural - "pasky"). And in no case it is called "kulichi" – this word doesn’t exist in the Ukrainian language! One more option to call Ukrainian “paska” is “papushnyk.” You know, in different regions of Ukraine people call Easter bread differently: baba, babka, papushnyk, and more. Yet the most common name is “paska” - and it doesn’t matter whether Easter bread is made of dough or cheese (cottage cheese/curds). Now let’s talk about “kulichi.” The Russian word "kulich" has Greek origin (in such a way sweet bread is called). 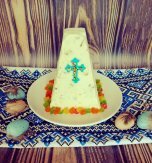 If we speak about the feast of the Resurrection in the Russian language – then we call it “Paskha.” If we speak in Russian about festive Easter dishes, then butter bread/cake bread we call "kulich" and cheese (cottage cheese/curd) one we call "paskha." 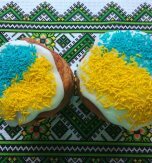 The eleventh-volume "Dictionary of the Ukrainian Language" which was published in 1970 – 1980 and now is presented online (http://sum.in.ua/) doesn’t have the words "kulich" or "kulych." It became the first in the history definition dictionary of the Ukrainian language. 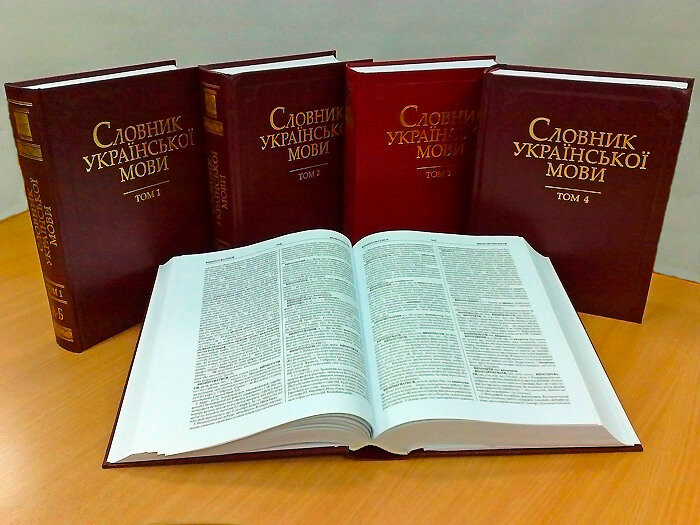 Almost all modern Ukrainian definition dictionaries are based on it, in particular, the "Great Dictionary of Contemporary Ukrainian Language" and the updated "Dictionary of the Ukrainian language in 20 volumes", whose publishing was started by the Academy of Sciences of Ukraine in 2010. This dictionary was compiled by a large team of scholars in Ukrainian literature from the time of Ivan Petrovych Kotliarevsky (a Ukrainian writer, poet, and playwright, 1769 - 1838) until 1980. After most words interpretation in the dictionary, there are real cases of the use of a word that illustrate its meaning. 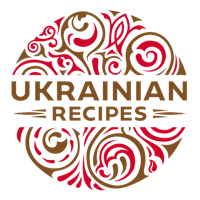 Have you liked the article about Ukrainian Easter holiday?